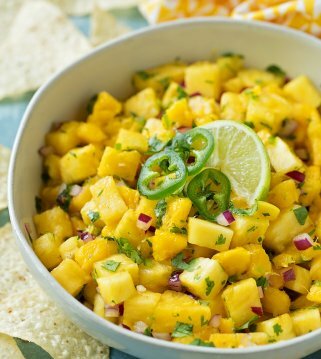 Sweet and spicy pineapple salsa that you won’t be able to stop snacking on. 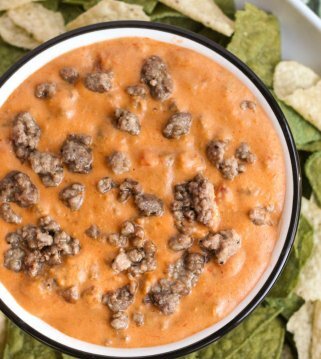 Eat it with your favorite tortilla chips and share with friends and family! Is there anything better than a bowl of fresh salsa? Fresh salsa never lasts more than a day at our house. It’s too good not to eat all at once. 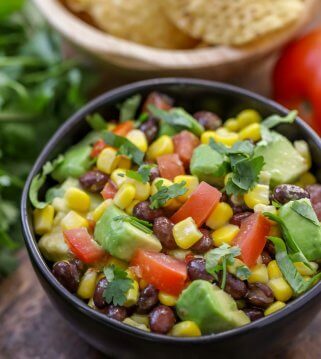 We love all kinds of salsa – classic salsa, salsa verde, black bean and corn salsa… You name it! We love trying new salsa recipes, and this pineapple jalapeño salsa one was definitely a hit! This pineapple salsa was a little spicy and a little sweet. The flavor combinations are unreal. I love the super sweet pineapple with the juicy tomatoes and the spiciness of the jalapeños. It’s all so yummy when it’s mixed together. If you’ve never tried a sweet salsa before, this recipe is for you! Dice and chop all of your ingredients before you start. That’s called “mise en place”. It’s french for “everything in it’s place”. “Mise en place” is a culinary term that means to prep all your ingredients before you start cooking or baking. So chop and dice the pineapple, tomatoes, cilantro, jalapeño, and red onion. Add them to a bowl a large bowl. Add the lime juice to the bowl and toss everything to combine. Then, season with garlic salt and pepper. Give it a taste and add in more of any ingredient you think it needs. Then let the salsa sit at room temperature for 30 minutes until you’re ready to serve. This will help all the flavors to blend together. You can also stick it in the fridge and let it chill until you’re ready to serve it! How to store pineapple salsa? Store your pineapple jalapeño salsa in an airtight container (I love using mason jars for salsa). It can be kept in the fridge for up to 4 days. What to serve pineapple salsa on? 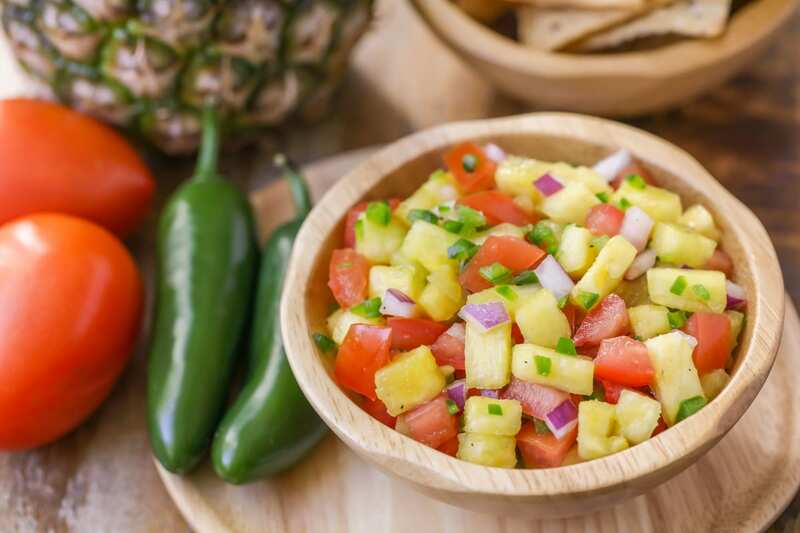 Pineapple salsa can be served with lots of different dishes. On the side of pork, steak, chicken, or even on tacos! And of course, it’s great with tortilla chips or even with some warm tortillas. My kids go crazy over chips and salsa. It’s the best after-school snack for chatting about their day at school. I also love to whip up some salsa for a girls night or a get-together with neighbors. 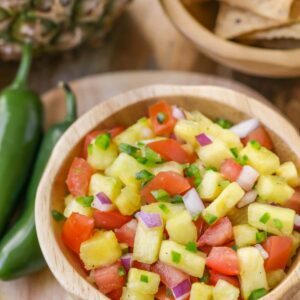 Just make sure to grab lots of your favorite chips because this pineapple salsa is deliciously addicting! 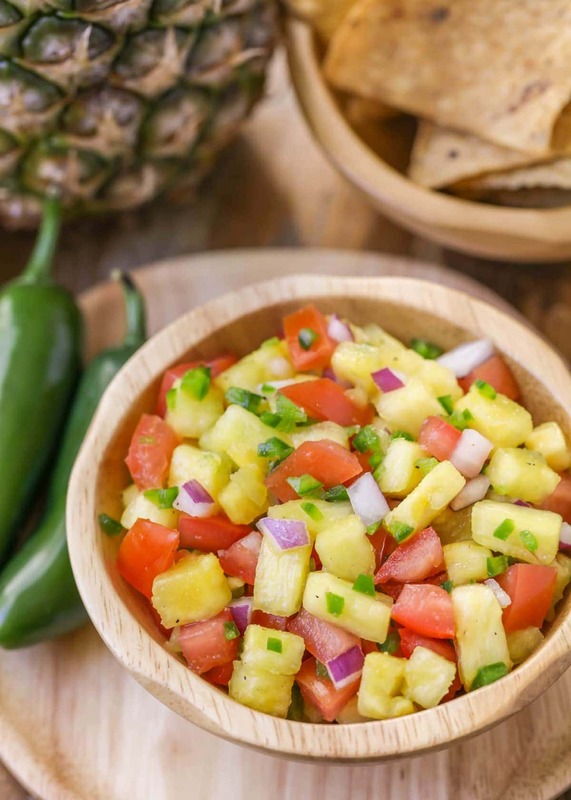 Sweet and spicy pineapple salsa that you won't be able to stop snacking on. 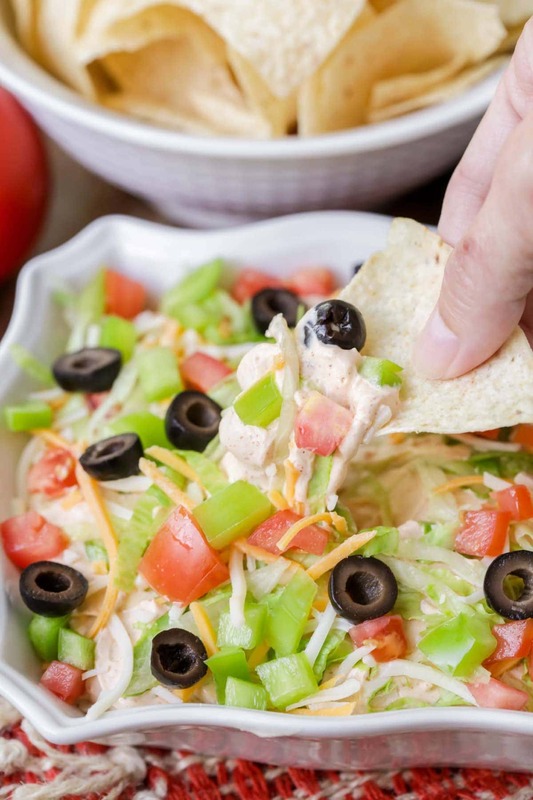 Eat it with your favorite tortilla chips and share with friends and family! 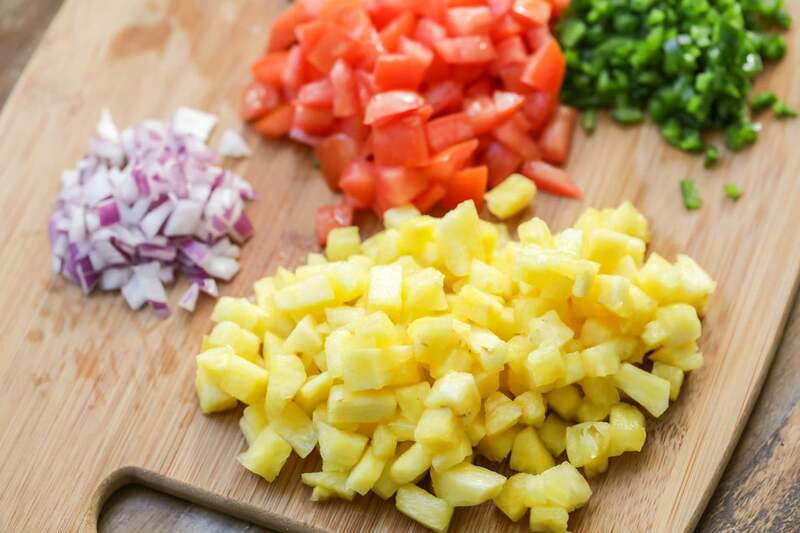 Add pineapple, tomatoes, cilantro, red onion, and jalapenos to a large bowl. Add lime juice and toss to combine. Season with salt and pepper, to taste. Let sit at room temperature for 30 minutes to all flavors to blend. Or chill until serving time. Serve with tortilla chips. Mmm..my two favorite things, pineapple & salsa!! 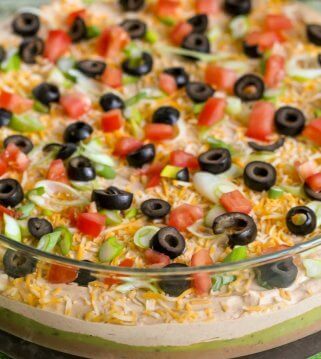 Super delicious & easy to make! Salsa & chips is my weakness! YUMMY! YUMMY! YUMMY! this is the so good! At my house salsa and summer time Go hand in hand. Its a snack that does not heat up the house (a plus living in arizona) and i feel like its a healthier snack choice for my kids. Im excited to try this pineapple version. A perfect sweet and savory salsa. 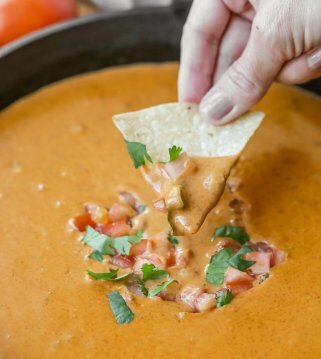 Easy to make and a bit different than the regular red salsa. Very refreshing!